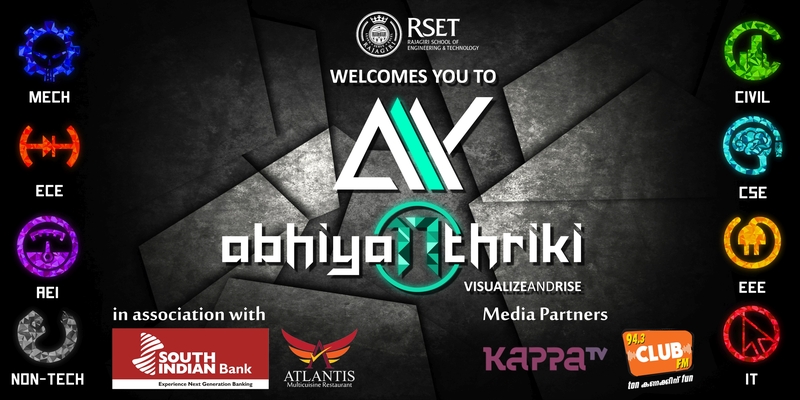 Abhiyanthriki, RSET's national level technical fest, is one of the most popular amongst the technical festivals hosted in the country, as evidenced by the increasing contestant turn up every edition. Engineering knowledge and imagination combine to manifest in the technically challenging and creative competitions, ranging from the fun to the serious academic-oriented ones. Abhiyanthriki is held once in two years.